As in all of my useful links posts, the photo above is one of mine, this time from a recent excursion to the Ocean Beach Pier, which is just over the hill from where I live. I’ve posted photos from that picturesque location previously, which you can check out HERE and HERE if desired. If you want to see more of my photos, please visit my previous “photography interlude” blog posts, which include photos from some of my favorite locations. I’ve also posted over a hundred images on Instagram, most of which highlight local San Diego scenery. As a reminder, you can always come back to this post later via my Archives page. 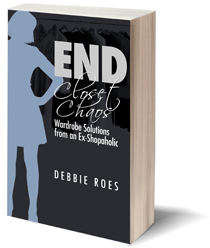 While you’re on the site, you might also want to visit my Recovery Tips and Resources pages and learn about my two books, “UnShopping” (on responsible shopping) and “End Closet Chaos” (on wardrobe management). 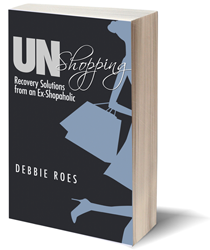 If you’re new to “Recovering Shopaholic,” I invite you to visit my Start Here page, which contains useful information about the blog, as well as links to some of my most compelling and helpful posts. “Intentional Shopping: 7 Questions to Ask Yourself in the Fitting Room” – The best way to avoid “closet chaos” is to make good shopping decisions while you’re in the store. It can be difficult to decide what should or shouldn’t come home with you, but this post from Katberries can help. You can easily save the seven questions in your phone or write them on a small piece of paper to have with you when you shop. You’ve probably seen many of these questions before, but they are good reminders. Questions 6 and 7 may be new to you and are a very important part of the equation. “The Power of Buying Less by Buying Better” – This article in The Atlantic starts out with a shocking statistic: the majority of women’s garments are worn just seven times before they’re cast off to the back of the closet or the garbage. There’s so much waste inherent in today’s “fast fashion” culture that places quantity and low prices above quality and longevity. But the good news is that things seem to be gradually turning around and more consumers are now willing to spend more money for sustainable clothing. “Pick Just One” – Conscious shopping involves paying attention to our actions and feelings before, during, and after the act of visiting a physical or online store. It’s especially important to have strategies in place for the “during” part of the equation. This article from My Year Without Clothes Shopping outlines one such strategy that is both simple and powerful. “5 Step Closet Audit” – As we’re nearing the end of the year, some of you may be looking to pare down your wardrobe to start out 2017 with a more streamlined closet. This step-by-step process from Style Bee can help. You’ll find lots of useful guidance to see what’s really in your closet, gain a clearer sense of your personal style, and let go of the “stuff” that’s been holding you back. “The Bare Minimum” – In contemplating the New Year, you may want to buy fewer wardrobe pieces than you did this year, but how few can you really get away with? This post from MOderate Wardrobe ponders the topic of “shopping bans” and whether or not it’s actually realistic not to shop for a long period of time such as an entire year. Using her own wardrobe as a guide, the author looks at basics and replacement needs and what is the bare minimum most of us need to buy no matter what. “The Lifespans of Different Wardrobe Items” – In a similar vein, when planning purchase numbers, it’s important to consider wardrobe longevity and turnover issues. While we may have our own personal standards for how long to hold on to closet items, this can definitely vary by wardrobe category. This article from You Look Fab examines the different types of closet pieces and how often we may need to replace them. I was pleased to see that I’m not the only one who finds that tops have the shortest lifespan of all clothing items. Still, I’d love for them to last the 30 minimum wears that I wrote about last month. “Finding Your Signature Style: The Difference Between a ‘You’niform and a Uniform” – There have been a lot of articles written recently about famous people who wear a sort of “uniform” every day. However, there is a difference between being in a clothing rut and having a signature style. Bridgette Raes outlines this distinction and offers guidance on how you can discover an outfit formula (or formulas) that you love to wear. I love her “30-day challenge” and am going to take it on. I’m already keeping an outfit journal, so I just need to consolidate what I’m learning and draw specific conclusions. “Fashion Infographics to Make Your Life Easy” – Infographics are all the rage these days and provide great visual representations of various concepts. I’ve seen a lot of these images related to style and fashion, but never so many on a single page! Stylish Wife has compiled graphics about figure flattery, fit, color, packing, and so much more. If you like tights, you’ll find quite a bit of advice about them on this page as well. “Travelista Guide to Cold Weather Layering” – Do you live in an area where it gets very cold, or are you traveling to a chilly location sometime soon? This comprehensive layering guide from Travelista specifies what you should wear to keep warm without having to rely on the heavy bulky items that can be unflattering and constricting. The principles were taken from backpackers and hikers but can be applied to travelers, as well as those who reside in places with long and challenging winters. I’m definitely going to use these tips when I next visit my family in Lake Tahoe during the colder months. “Deciding to Live with Less and Other Minimalist Lessons Learned from Fire” – Terra Trevor has written two excellent guest posts for this blog (see HERE and HERE) and is a regular commenter here. She also writes for various publications, including The Huffington Post. In this moving article, she shares how living with the threat of fire for the past 25 years has taught her valuable life skills and good habits. If you like this article and want to read others like it, check out The Huffington Post’s Reclaim campaign on reducing the world of waste. “Boundaries, Empathy, and Compassion” (video) – A good friend shared this video from Brene Brown with me awhile back and I’ve watched it several times since then. If you struggle at all with codependency issues or being a “people pleaser,” I highly recommend that you spend six minutes watching the video. We often believe that we’re being loving when we give so much that we deplete ourselves, but we can actually do more good when we establish strong boundaries before reaching out to others. 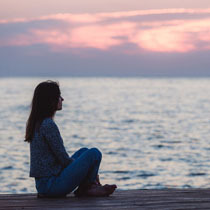 “5 Simple But Powerful Tools for Fighting Stress” – Chris Kresser is known for being a functional medicine specialist and a thought leader in the Paleo community, but he also has great insights about the topic of stress management. We may not be able to avoid stress, but we can influence how it affects us. In this article, Chris specifies the four factors that drive our response to stress and offers five tools for re-framing stressful experiences. Each month, I share a few previous “Recovering Shopaholic” posts that I think you might enjoy reading (you can see all of my past posts on the Archives page). The articles below were published in November 2013, 2014, or 2015. I enjoyed revisiting these posts and I hope you will benefit from them as well. If you resonate with what I have written, I’d love to get your thoughts. I wish I could leave comments open on all of my old posts, but I have to close things out after two weeks due to spam issues. Please feel free to share your views about the archived articles in the comments section of this post instead. “The Holidays and Shopping: The Not-So-Perfect Storm” – The holiday shopping season is well underway and often presents significant challenges for compulsive shoppers. In this post from November 2013, I highlight proactive things you can do to deal with Black Friday and Cyber Monday, as well as alternate gift suggestions that won’t break the bank. I also express some thoughts about how buying has come to be associated with love and how that can be especially problematic for shopaholics. “Who Are You Dressing For?” – While most of us think that we dress for ourselves, many people dress more to please or impress others than to make themselves happy. This has definitely been the case for me and I actually used to buy clothes to wear primarily for more shopping! In this introspective essay from November 2014, I write about some of the challenges I’ve faced as a blogger who sometimes posts outfit photos and how I continue to strive to place my own opinion over those of others. “How to Determine if a Purchase was a Good One” – I periodically write reviews of my purchases from previous years and will be doing another one very soon. These updates help me to see what did and didn’t work for me and why, which in turn hopefully facilitates smarter shopping moving forward. Last November, I asked the members of my private Facebook group what criteria they use to determine if a purchase was good or not. This post is a consolidation of the responses I received and contains lots of concrete tips to guide all of us in making better choices. Have a wonderful weekend and for those in the United States, I wish you a very Happy Thanksgiving! I’m grateful to all those who have read this blog over the past (almost) four years and for the opportunity I’ve had to share my journey and what I’ve learned along the way. Thank you for sharing this Debbie! Great collection of articles as always. Glad you enjoyed them, Alla! Hope you had a good weekend. Lovely photography Debbie. This photo is breathtaking and a good one to meditate on. I also appreciate the collection of articles you have gathered, and thank you for including my HuffPost. Thank you, Terra! It was such a magical evening and I got quite a few nice photos. I was happy to share your wonderful article and I’m sure a lot of people enjoyed it. The travelista post on cold weather travel layering was so timely! I am about to head off to Iceland and Denmark for a holiday trip with my family nest week, and I definitely made note of a few of her tips for my own packing! So glad that post was helpful and timely for you, Melissa. Your trip sounds so exciting! Perhaps you’re already there… I wish you a wonderful vacation with many happy memories.